ECHO inspires and engages families in the joy of scientific discovery, wonder of nature, and care of Lake Champlain. ECHO currently welcomes more than 167,000 visitors annually into a 34,500-square foot, award-winning LEED-certified facility. 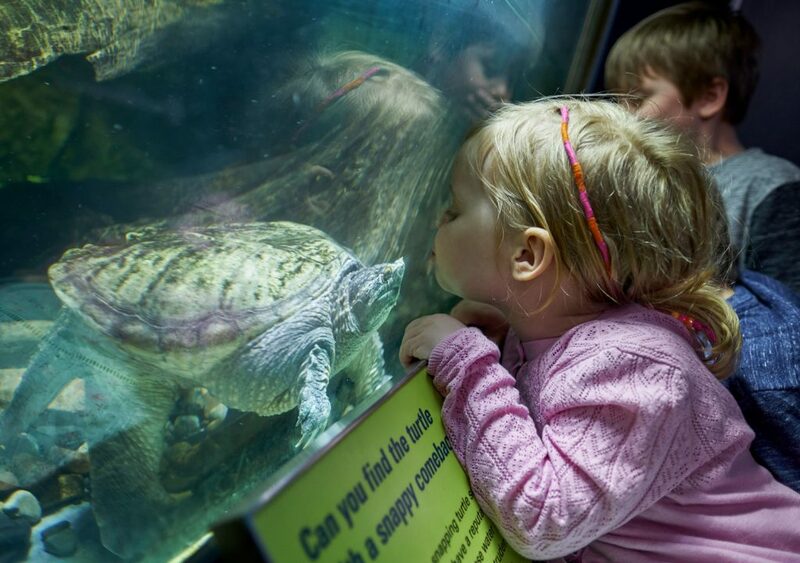 Through more than 100 interactive exhibits; 70 species of fish, reptiles, and amphibians; major changing exhibits; a 2,500-square foot early learning interactive space; ECHO encourages visitors to view the natural environment as part of their neighborhood and to explore, learn about, and consider opportunities for stewardship. This work is delivered by a dedicated team of 27 staff, 175 volunteers and interns who serve more than 16,000 volunteer hours per year, and more than 45 community partners. ECHO is home to a consortium of organizations working for public and academic engagement in science: the Lake Champlain Basin Program; the University of Vermont’s Rubenstein Ecosystem Science Laboratory and research vessel; US Sea Grant Watershed Alliance; and the Lake Champlain Navy Memorial located in Hoehl Park.